Will you soon earn less than 100% MQM’s for LUTXVE class flights on Delta Air Lines? This year, will all the updates and “enhancements” from Delta, I feel a bit like the 3:20 mark in the clip above. Each week I wait to see what our beloved airline will “buzz” me/us with (yeah I know that makes me Cliff Claven, but so be it)! Even when we have complained back to the mothership, it’s kinda like when Cliff says – “well let’s see how you like it pal”… And I think you get the rest! Anyway, back to today’s post. The above chart, as some most upset readers know ( right Steve ) who, thanks to working on cruise ships, does get to fly Delta, but does NOT get full credit for each flight. Could the above chart be a message of what is to come for the rest of us soon? 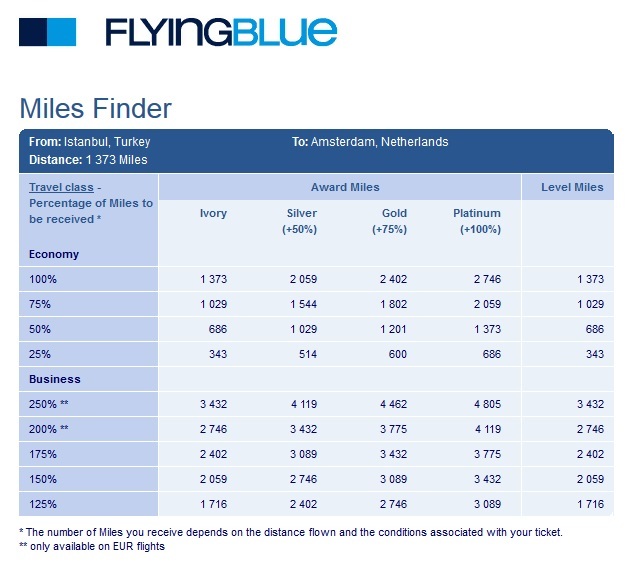 KLM for example, already gives you less depending on the fare class and economy tickets do not ALL earn full credit. In fact, on my latest flight to Istanbul, one segment, that was booked in Delta “T” class, accidentally was credited to my Flying Blue account and I only got 343 elite qualifying points compared to the 1,376 Delta MQM’s I did, in the end, get credit for. Had the fare been a consolidator fare then I would have only earned 343 Delta MQM’s for this segment (and I would not have taken the mileage run to begin with). My question to you all is this: If Delta were to move to this kind of award chart for ALL Skymiles and MQM’s, would that be enough for you to be pushed over the edge? So far, all of Delta’s changes, have been for the most part, just accepted and put up with by Delta flyers. Some have bolted to other airlines, but most just say “ah well”. Would a change like this, if it were implemented system wide, make you stand up and complain until they changed back or would you just take this too? I think this is the future – revenue based program. I’m done chasing status on Delta. I will continue to fly them domestically, but am concentrating primarily on ultimate rewards and united mileage accrual due to ease of redemption. Hi René, I am absolutely sure it will be moving in that direction. This is precisely why I moved from Flying Blue to Delta 3 years ago (same flights that make me a Delta Plat would earn me a FB silver status…). If this happens, I will certainly move to another carrier. KLM has introduced the ‘roll-over’ principle to their program, so they are synchronising these programs, combining ‘the best features’ of both, well, for the airlines that is, so the worst for us. It’s all about rewarding dollars, not frequent flyers. For me, it will make achieving Platinum, or even Gold, almost impossible, without spending way to much money. The almighty $ is the bottom line for me. I won’t chase status in this case. I was pushed over the edge years ago, and am surprised that there are so many (voluntary) DL/ST loyalists. Why on earth would I fly these guys when for a very similar price I can fly *A, OW, or (gasp) a non-allianced carrier? I am sure Qatar or Lufthansa can come up with a useful premium product. When you get nothing for your investment (and yes, when you have a choice, anything you do is an investment), the field of competition opens up dramatically. DL is working a really beat business model that is only sustainable by a lack of legitimate US competition. Not that there are many better available answers. I mean, I wouldn’t fly US for 250% miles on every flight. I already buy mostly K fares to improve my upgrade chances on long-haul flights. As long as I can continue spending a similar amount of money and continue with similar upgrade success, I’ll stay. That’s what really matters in the end. For short flights with lots of competition, like SFO-LAX, I would likely pick AA or UA. Well…it would be a tough pill to swallow but it could happen. That said, I would think the whole MQD program somewhat reduces the need for it as you must pay about 10 cents/mile to qualify unless you can do the credit card spend program. My question is did Delta try this in the past? I remember them making upgrades based on fares and the response from the frequent flyers was to revolt. If they make the mileage changes will the same not take place? I know I would make my voice heard loudly. It seems the airlines try and push as far as possible and then “hear” the customers and back down. If they can slide it under the radar and stick they will. Unfortunately I am too close to my next goal with Delta to bail but I can fight back on the way. It makes some business sense to decrease or eliminate the rewards for fares published through discounted third party sites. This seems often to be the case in the hotel business that third party rates count for less or nothing. I would draw the line at any fare available on a airline’s own site (or a directly affiliated vacation site) gets full MQM. http://freebeacon.com/deltas-dilemma/ Hmm…. are they REALLY hurting or getting too greedy? I think delta should be real concerned about the AirTran/southwest merger. One reason they might not be is that folks, like my business traveler only husband, can’t book southwest because its not covered by the company travel agency his tickets are booked through. I suspect that southwest may work on getting that type of business once the merger is complete. Delta has had such a captive audience in places like Atlanta that, up to now, it hasn’t mattered what changes delta made. Not going to be the case real soon, I hope. This would be the one move to get me to abandon Delta completely. Their service and actions last year got me to slow down so much that I went from platinum to nothing. I will make platinum by June this year, but would stop flying Delta once my platinum expired in 2015. Even being based in MSP, I would seriously consider jumping ship to another airline if this happened. MQD’s don’t bother me, because I buy lots of last minute $1000+ tickets each year. Not sure how I feel about the “purchase your upgrade with miles” thing yet….even as a gold I do tend to get upgraded often enough to see the benefits of gold. Must just be the routes I fly, because others seem to not get upgraded at all being gold. But getting less MQMs just because I buy economy I wouldn’t stand for. Time will tell I guess. In related news, I’m 98% sure I’m going to jump ship from Hilton/HHonors after realizing last night that they’ve eliminated ALL of the Category 2 properties I typically stayed at using points. They may have lowered the points required to stay at any given category of hotel, but they essentially increased the category of each hotel by 1 it seems (i.e. all category 2 hotels I used to stay at on point are now category 3….grrr). So instead of getting a room for 12500 points, it’s now 20000. Not happy about that at all. Thinking of jumping ship to PC now, as I just got a nice 80000 points offer from them. Is PC a good program to be involved in? Or is there a better hotel program? This is the one thing that would push me over the edge. Delta did something similar years ago and it upset me so much that I did a status match with United and left for a year. Eventually Delta relented and II came back. I should note that I am an ATL based flyer too- so it is possible to divorce our beloved Delta even in ATL. These devaluations are steadily making it more and more uncomfortable for people who fly the most. Part of how I deal with being on these flying Greyhounds all the time is knowing that I’m earning miles and have a decent shot at an upgrade. Those are really the two things that keep me going and Delta is constantly trying to limit them more an more. Funny but I am writing from my first class upgrade seat as I travel to mci. I am gold and frequently get upgraded. 3 out of 4 legs on this run. It delta were to significantly curtail the mileage as laid out in the post I would seriously reconsider my loyalty. I fly delta almost exclusively. But I would likely reconsider my three Amex cards…reserve business, gold and regular Amex gold. I would also probably go into 100% mileage optimization mode as well as cheapest ticket mode. Delta doesn’t make nearly as much flying me around as they do on their credit cards. They need to keep the big picture in mind as they “optimize”. Yes…this would a deal breaker….a program that originally was suppose to reward/encourage loyalty is doing the opposite…it is making me (and I bet a lot of others) just deciding to get several airline credit cards (for the free checked bag, etc) and then just booking whoever is CHEAPEST. If I had a real choice, this might push me away from DL. But I live in ATL, so…. If I understand this correctly, fares purchased through DL are not affected. If that is true, then this has no impact. On the other hand, if it applies to all LURT fares, no matter where purchased, then I will have to find a new way to get from Jackson, MS to LGA for my weekly commute. My round trip already went from $280 to $425 over the last 3 months. @Rene – I guess that timimg in life is everything. I will hit Diamond this year, and since I turn 67 early next year, it may just be time to enjoy the Diamond upgrades and retire when they disappear. I started business flying in 1972 by commuting from England to Montego Bay, maybe it’s time to give this tired body a rest. THAT WOULD BE THE LAST STRAW AS YOU KNOW THAT THERE WOULD BE SOMETHING MORE AFTER THAT! Funny you mention your accidental credit of IST-AMS flight to FB — same thing happened to me and I got the same 343 miles. 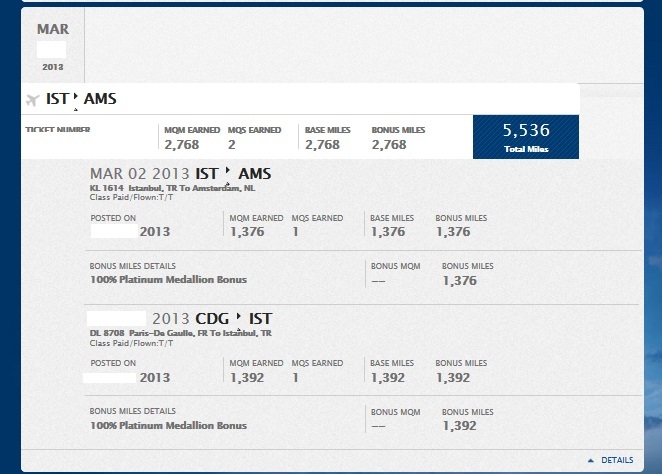 Nice bonus on top of my ~1600mi credited to SkyMiles, but if that was what DL also credited, I’d be gone. With the poor availability of low level awards, at least high earning potential helps take the sting out of redeeming at mid-level. I’ve already decided that in 2014 I’m switching to the new AA. US has an extensive network in the southeast, and combined with AA will give me a great network. DL miles are already so hard to redeem and I’m tired of fighting with the broken website and surprise “enhancements”. Its a great way to lose me as a Delta amex customer. That DL reserve would quickly be cancelled And I’d be more open to flying cheapest flights rather than DL. This would have several effects, as I see it. 1) It would significantly reduce the number of top elites (either through points acquired or attrition) simply due to many business fliers taking LUT fares based on company policy (or a migration to UA for the same reason). Definitely making “elite” more so. 2) Makes the AMEX cards more attractive, since it would be extremely hard for current Silver Medallions (and some Golds) to re-qualify, thus the credit cards would at least provide some additional benefits and increase the value of the 10k MQMs given by the Delta Platinum card. 3) More than likely, such a change will see an increase in miles credited to Alaska Airlines instead, since status on AS provides benefits on DL, including upgrade potential. 4) Such a move will cause DL fliers to split into two camps: those that value the frequent flier program (elite status, award availability) and those that prefer better customer service. Many frequent fliers are in the former camp, and would likely migrate to United. Those in the latter category may stay with Delta, but would just as likely fly Southwest, JetBlue, or Virgin America instead (not to mention Alaska). 5) Vacation travelers that like Delta for the benefits and customer service may also be put off, especially if they make Silver status just by visiting relatives each year. If this is reduced, there are other programs for their dollars like the aforementioned low cost airline group and Aegean Air’s Miles & Bonus program that gives status in Star Alliance for a bargain amount of miles. Personally, I am in the last group. I like Delta for the customer service and nostalgia. I don’t qualify for status, but I like to try and see how close I get at the end of the year. However, UA is usually $100 or more less expensive than DL, and with Aegean Airlines status, I get the equivalent of Silver on UA (without E+ or upgrade potential), so if Delta keeps making it harder for me to play the game (even if I loose, it is fun), then why not go to another airline that has lower fares? Bottom line, too many changes too quickly are very bad. Delta has great customer service compared to the competition, but the benefits of a frequent flier system (elite status and redemption) are huge factors that clearly overshadow the low cost airlines business, despite great customer service and amenities (bags, room, etc) and could torpedo Delta as well. Delta did this years ago and I went to USAir. Once delta went back to full MQMs I came back to Delta. 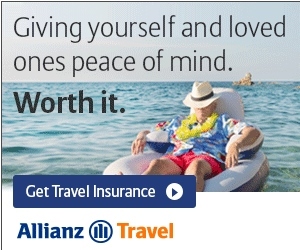 If delta were to implement this for everything, I certainly would look at the AA/USAir as my new choice. 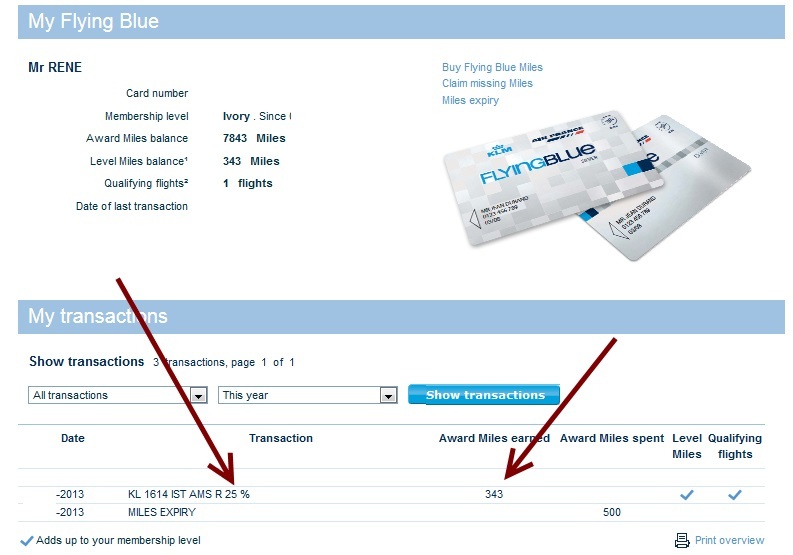 United is not an option for me, as I get no United perks with my Platinum Amex card. This will definitely push me over the edge. I can choose my business travel carrier with my company, however Delta is typically pricier so if this goes thru Star Alliance will certainly get my business. Depends on if they give full credit per segment. I’m on target to hit 100 segments this year, so as long as one flight = one segment I’ll be good to go. I don’t have a choice anyway as I’m route captive, but I definitely would NOT spend twice as much on fares just to get 100% MQMs or MQSs. Thanks goodness for the Amex Reserve card. If those medallion mile perks go away, I will go with them. I have been lucky 2 years to enjoy the Diamond status but each day that passes Diamond is loosing its luster! If all these changes come to pass, I will pass on Delta. This would no doubt be a game changer for me, I do almost all of my flying on the deeply discounted fairs and would struggle to be FO o. Delta if this went I to effect. 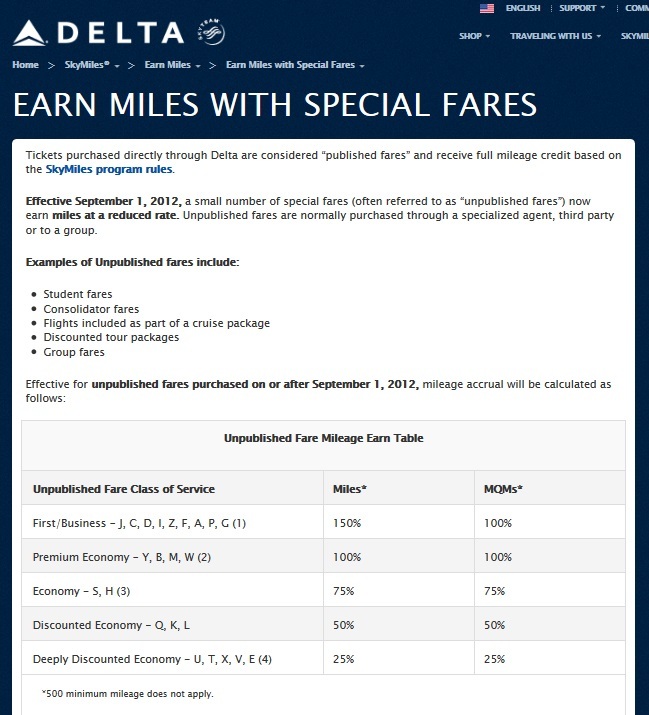 If Delta makes these adjustments, it may not be long before AA/US and UA do something similar. These loyalty programs began when there were over a dozen carriers and the competition for passenger dollars was fierce. Now, I suspect the cost of the programs for frequent fliers with only two alternatives (US market) may start to exceed the benefit to the airlines. Towards that future, maybe Delta has begun to “wean” us. Personally, I replaced 3 overseas and 6 US trips in 2012/13 with Skype, WebEx, and GoToMeeting. Perhaps in 20 years, Delta, AA, and US will be in the position of Greyhound and AMTRAK today. Think about it from the opposite perspective. What if they gave 200% MQM’s for any fare. Suddenly everyone would be a DM and then being anything other than DM would be worthless. It may be this change makes it a little harder to be FO but then being an FO may be worth a lot more than it is today. Just a thought. I saw the writing on the wall with MQDs and so already status matched to Alaska Gold. Now I can fly AS, DL and AA and put more money in my pocket from picking the cheapest fares. Still get exit row on DL and upgrades just after Silvers. This would, without a doubt, cause me to move over to United or American.